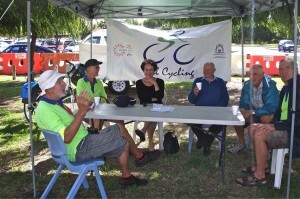 The Rockingham Social Cycling Group represented the Club at the Mini Have a Go Day organised by the Rockingham Branch of the Seniors Recreation Council of WA. It was a good opportunity to promote cycling and the Club. We hope we have been able to attract new members.